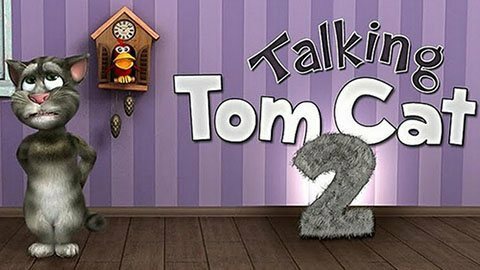 Talking Tom 2: The app is about a cat who replicates the voice and word of the user. This arouses the laughter in kids. Not only this, kids can even dress the Tom as they like him to be such as a police officer, a doctor and so on. In fact, they can even slap or hit the cat to fetch more fun out of this app. The app is under continuous evaluation to make it the best one. Angry Birds: Angry bird is a gaming app that has been successful enough in attracting plethora of users. This app is consisting of various different coloured birds that make sounds on being hit. Today, this app can be seen in every mobile set due to its popularity among people worldwide. Sandbox Kid Corner: This app has become famous due to its ability in converting any android hand set into a kid’s phone. The home screen itself gets transformed but the control still lies in parent’s hand. Only parents can choose whom their child can call or call. Through this app, parents can even locate their kid. Best Hand Shadow Arts: This app makes you draw anything on the screen through hands. No equipment or tool is required to draw any particular shape such as shadow of dinosaurs, eagle, cat and the like. Only hands are more than enough in creating such shadowy designs. Creatorverse: Normally, the designs you create are mere figures which cannot perform any action. This app, Creatorverse, allows you to create designs and set those designs in motion. The shapes or figures created by you can bounce, tilt, roll and step up as well. In short, the creations come to life. This not only entertains the kid but also make them create different designs. Grimm’s Snow White: Basically, Snow White is among the top-rated story books for kids. Now, android has come out with this new app that contains new stories and classics of Snow White. While reading, kids can even join Snow White in all the exploratory sequences along with the seven dwarves. Victor’s cold: This app is a combination of play and a story. While the story goes on, kids can enjoy the virtual play as well. These are some of the best android apps for kids which have been created in order to entertain kids. So, download these apps and engross your kids in playful activities.